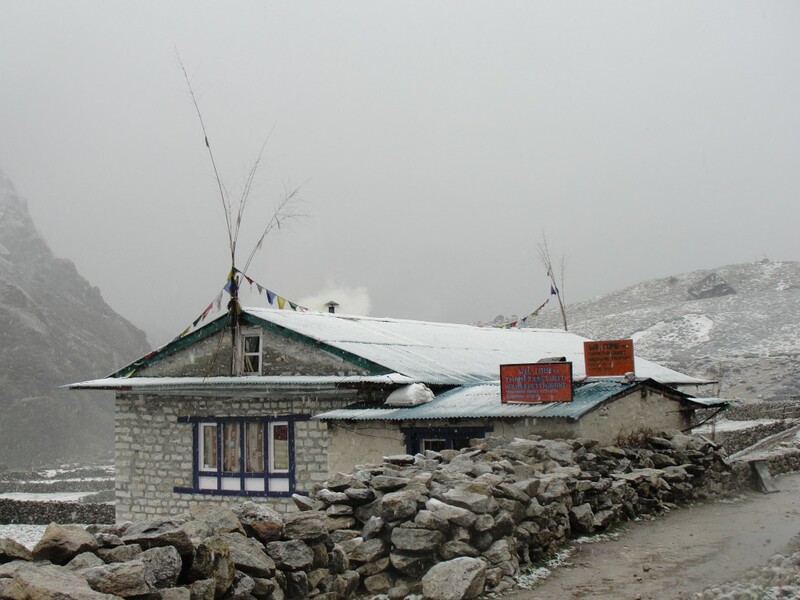 Lakhpa Chamsi knows snow leopards are not easy to see, yet she hopes that she will someday see one near her village of Thameteng, a settlement of Sagarmatha (Everest) National Park Buffer Zone. Since becoming involved in snow leopard conservation, she has become much more curious about the elusive cat. The chairperson of the Thameteng Saving and Credit Management Group, Lakhpa says if she sees one she will be able to share with others what the snow leopard looks like. While collecting the grass in the jungle she has seen other wild animals such as Himalayan tahr, musk deer and Himalayan Munal, but at this point the snow leopard is like an animal of the imagination. “My sons are part of the Eco Club, so they know a lot about snow leopards. They also learn about snow leopards in school. My eldest knows how tall a snow leopard is, how much they weigh, and has even written a report that won first place in an essay contest with an award of 3000 rupees,” says Lakhpa proudly. Only a few months ago a snow leopard killed a baby yak near the Thameteg Army Barrack. “People rushed to see it, but were too late.” says Lakpa, “I have still never seen one.” However Lakhpa’s husband Karsang has seen a snow leopard twice. He was first frightened by a cub in the Tabang jungle while he was picking mushrooms. Then, last year in September he saw a snow leopard sitting under a bush near the road and almost stepped on it. In 2012, Snow Leopard Conservancy, in coordination with Sagarmatha National Park Buffer Zone Management Committee (SNP BZMC), formed Thameteng Saving & Credit Management Group which teaches savings and credit practice to its members and allows for compensation to herders when livestock has been killed by a wild predator, such as the snow leopard. “The saving group members contribute to conservation,” says group secretary Kami Doma. According to Lakpa, the group has been able to collect 23,000 rupees for the snow leopard conservation fund. Kami explains how the group works, “SLC has given us 200,000 rupees as a seed fund to start income generation activities. From the group’s annual profit, 25% goes to the snow leopard conservation and 10% is given to local schools for conservation based extra-curricular activities.” She also says, “Savings are collected at least once a month and the group concentrates on financial growth for each member and for the group as a whole.” The group is involved in various income generating activities, including having a cafe’ at a recent Golden Jubilee ceremony. There were able to earn 80,000 rupees net profit. 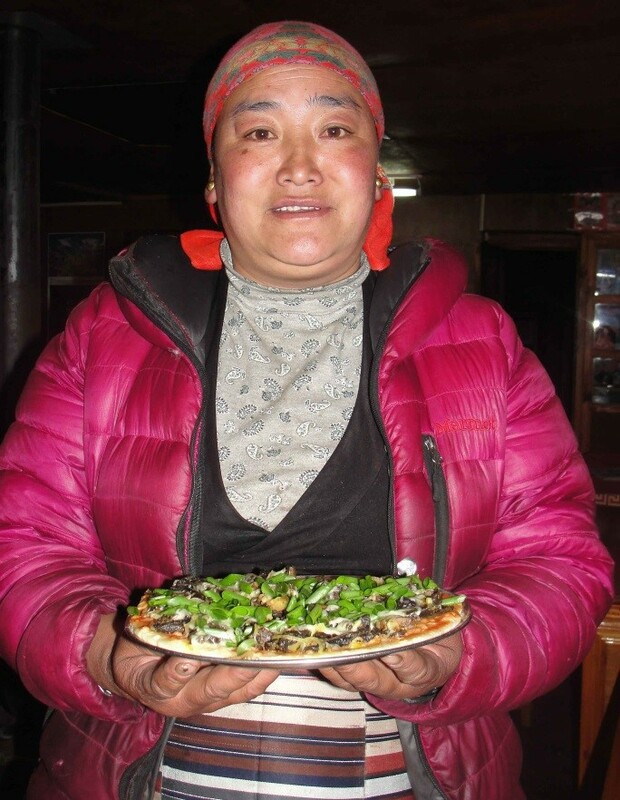 Lakhpa and her husband Karsang run a hotel in their home. Tourists, guides and porters stay at the hotel. 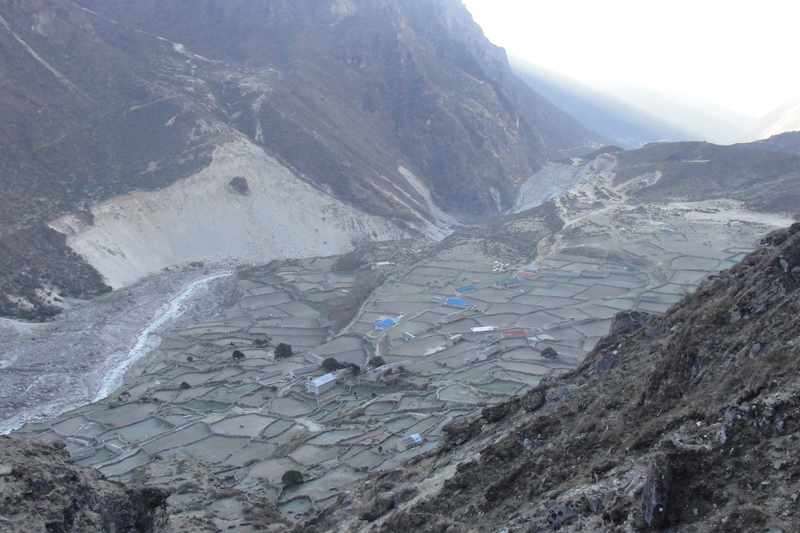 “Twelve people used to sleep in six rooms, but that was not enough,” says Lakhpa. She decided to take out a loan of 40,000 rupees and added five more rooms to her hotel. Every season the hotel has earned 500,000 rupees, but now with more rooms, they are able to earn more. Income from the hotel is used to repay the loan. They have been able to start saving money on a regular basis as well. Most of the group members do not own livestock, but some do. 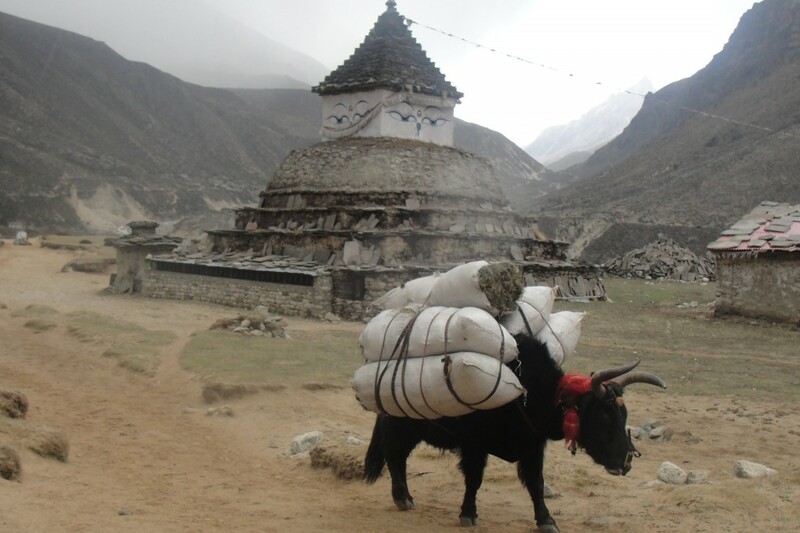 If a snow leopard kills a baby yak the owner receives 700 rupees as compensation. 1,500 rupees is given for the loss of an adult. The group also gives financial support to the local school for executing conservation work. In 2014, the Thame Lower Secondary School was given 15,000 rupeees by the three Saving & Credit Management Groups in Thameteng, Thame & Thamo. The school headmaster, Mr. Lakhman Tamang, said the money was used for conservation activities that have helped students develop a better awareness and understanding of snow leopards and other endangered species. “Students can easily recognize snow leopard in pictures and have started talking about its significance,” says Tamang. Anil Adhikari serves as local conservation officer, coordinates Snow Leopard Conservancy projects in the Everest & Annapurna region of Nepal. He has a talent to document conservation initiative stories from the remote villages, that gives us a glimpse of life at the foot of Earth’s highest mountains.